Delray Beach is the newest and most comprehensive state of the art facility in South Florida. 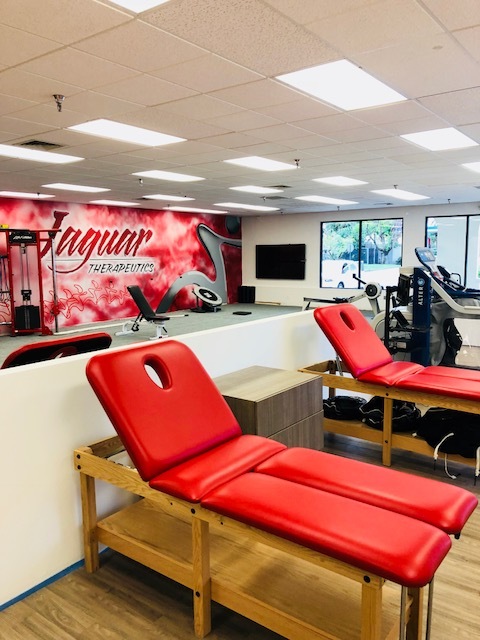 Its 3,500 square feet houses all our Jaguars services, including Physical Therapy, Chiropractic, Acupuncture, Massage, VO2 & RMR testing, Alter-G treadmill and Personal Training. We have combined the newest technology and treatment techniques to give every patient the most comprehensive treatment leading to a safe and healthy outcome. This cohesive multi-disciplinary approach is a true full service experience providing the best and most appropriate care for each patient’s pathology. Come experience the future of rehab and healthcare.